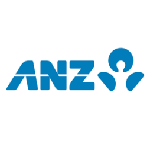 ANZ have led an organisational wide scaled agile approach. 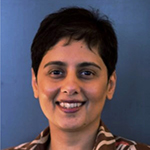 In this session Kavita shared and explores with you some of the lessons learned around planning at a micro level, iterating frequently, shifting mindsets and getting the right policy and controls in place in an agile framework. There is an overall statement with 2 debaters and each debater will prepare a 10 minute argumentone for the affirmative and one for the negative. At the end of the session, the audience will have a chance to ask questions and a winner will be announced. Is Outsourcing Obsolete in an Automated World? There is some discussion on if automation could replace outsourcing one day, as the cheaper and more controllable option. However is this idea fact or fiction? This debate will put two experts head to head to delve into the benefits of outsourcing and automation, as well as discuss the pitfalls of each! Our chair will then decide on a winner of the debate. Check out the incredible speaker line-up to see who will be joining Kavita.